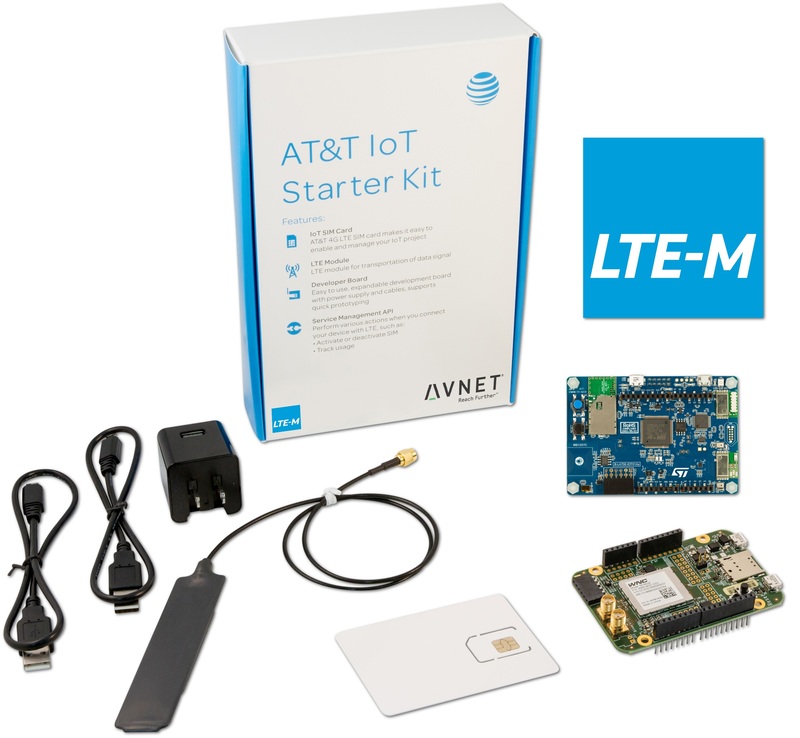 PHOENIX--(BUSINESS WIRE)--Avnet (NYSE: AVT), a leading global technology distributor, today announced the availability of the AT&T IoT Starter Kit (LTE-M, STM32L4), the latest in a series of AT&T IoT Starter Kits engineered by Avnet in collaboration with AT&T. This LTE-M iteration of the AT&T IoT Starter Kit, with IoT Discovery board from STMicroelectronics, reduces the complexity of LTE-M device development by bringing together all the elements required to develop and prototype highly secure, cost-effective and reliable IoT devices connected to AT&T’s 4G LTE-M network. Avnet will be demonstrating the new Kit at today’s ST Technology Tour event in San Diego, as well as at upcoming Technology Tour stops across the U.S. through October 2018. The new two-board LTE-M solution is comprised of the STM32L475 IoT Discovery board and a cellular connectivity daughter card from Avnet, as well as a modem module from WNC, configured for LTE-M operation, and access to lower-cost licensing options for Arm ® Keil® MDK microcontroller software development tools. The IoT Discovery board is an “out-of-the-box” cloud-ready connectivity board for IoT nodes featuring the ultra-low-power Arm Cortex®-M4 processor-based MCU (clocked at 80 MHz, with 1MB Flash memory, 128 KB RAM). The microcontroller-based carrier board functions as a low-power host processor that integrates onboard environmental sensors, motion, gesture and time-of-flight sensors, digital microphones, Bluetooth low-energy, a sub-GHz transceiver and Wi-Fi, as well as Pmod ® and ArduinoTM Uno V3-compatible expansion connector interfaces. 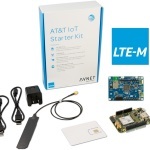 Available in the Americas for $139, the LTE-M, STM32L4 version AT&T IoT Starter Kit can be ordered through http://www.cloudconnectkits.org/product/att-stm32-iot-starter-kit.